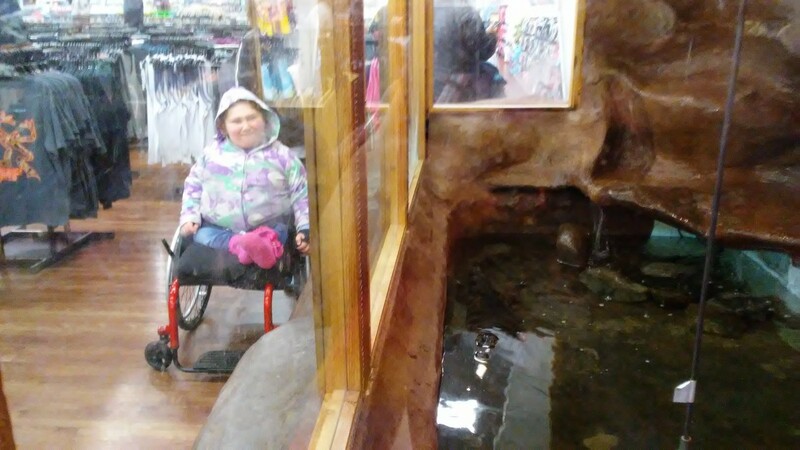 When we drove up and down the main street in Pigeon Forge, Namine saw two things that she really wanted to come back and see. 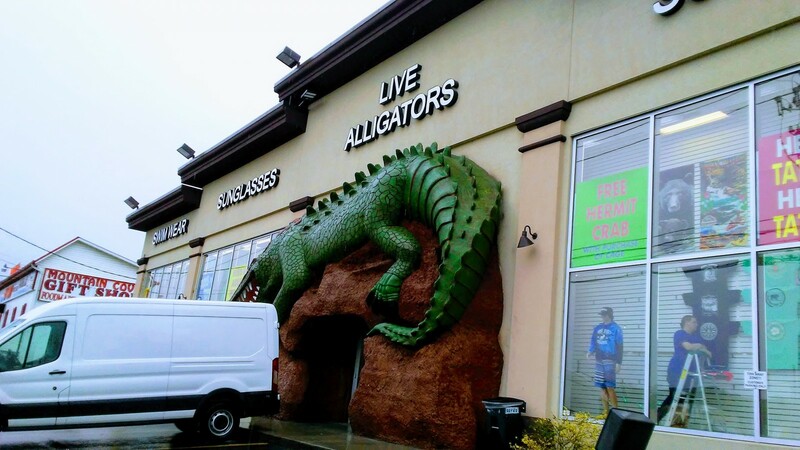 The first was a store whose sign said LIVE ALLIGATORS, so we paid a visit. The store was your run-of-the-mill (but not the Pigeon Forge Old Mill, haha) tourist trap: it had t-shirts, caps, plastic guns with orange tips, and a whole lot more. As it turned out, “alligators” was a bit of a stretch, for two reasons. The first was because there was only one, the second because technically it was a caiman, not an alligator. The "alligator" is on the right. The next stop was a surprise for Namine. No kidding, we made her close her eyes until she was inside. Every time we passed MagiQuest — a large building that looked like a castle — she would ask if we could go there, if only to see what it was like. The MagiQuest building also housed other things to do. 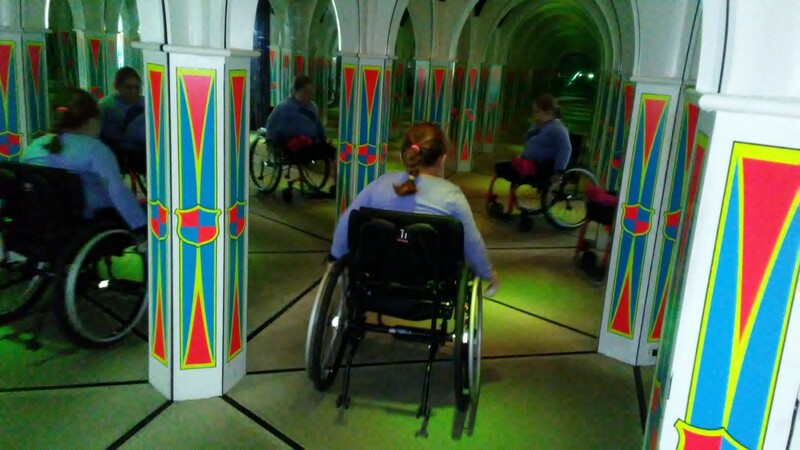 There was a mirror maze, and never in my life have I been in such a large and difficult one. 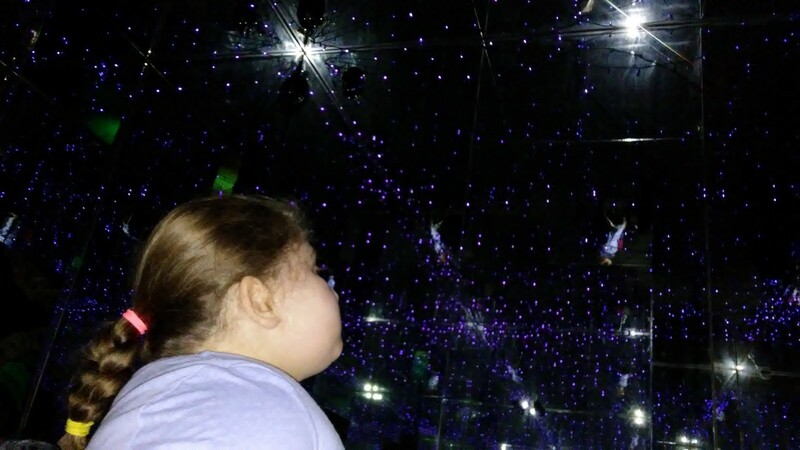 At the halfway point there was an “infinity room,” where lights were reflected so that they appeared to go on forever. There were a couple points at which Namine and I lost each other. We never lost sight of each other, but it was sometimes hard to know which was the reflection, and which was the person. At one point I couldn’t find Namine, until I suddenly felt a poke in my rear. The next obstacle course wasn’t a maze, exactly. It was a laser course: we had to duck under and step over laser beams to cross a large room and press the big red button at the end. Of course, Namine had to get out of her wheelchair for this. When we entered the room and closed the door, it went almost completely dark except for the red beams of light. Namine looked at me worriedly. 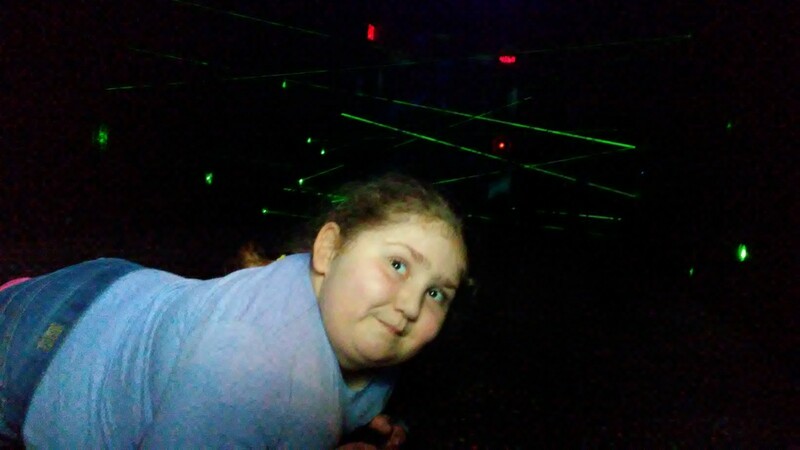 I assured her that the lasers were only light and would not harm her. We had fun army-crawling across the room. The last thing for us to do was mini golf. 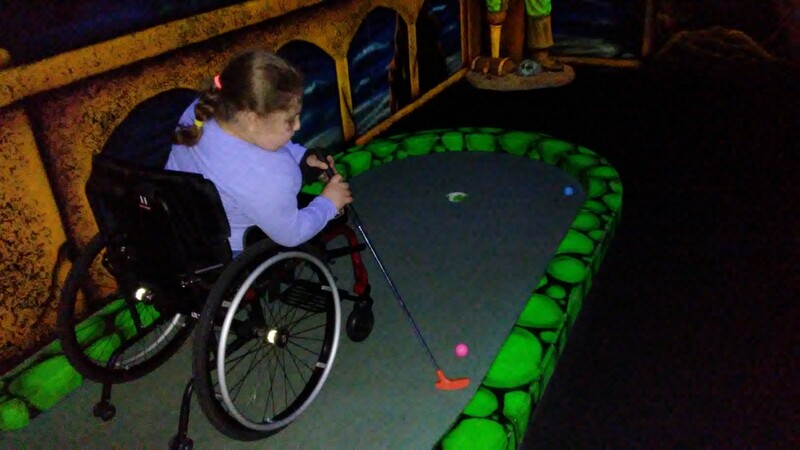 The course wasn’t completely wheelchair accessible, so there were some holes that I had to finish for Namine. Regardless, she had a great time.